When you need reliable batteries for your hearing aid, Rayovac should be your first choice. With over 100 years’ experience, when you buy Rayovac hearing aid batteries online, you can be sure of a long-lasting battery that’s built to last. 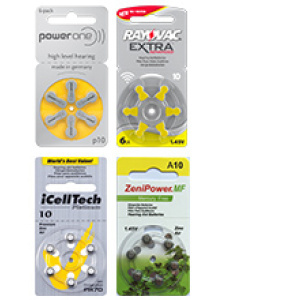 At Hearing Aid Batteries Express, browse the Rayovac Extra Advanced range, with single and multipacks available, and trial packs for those who are unsure what brand is best for them. The Rayovac Extra Advanced range is designed for high-demand aids, and used by those with severe hearing impairments. This range offers high levels of power, while still giving excellent battery life, ideal for digital, programmable, or analogue aids. When you’re looking for hearing aid batteries in Australia, browse and buy the Rayovac range online, with low-cost delivery. An advantage of the Rayovac Extra Advanced range is that they offer excellent air flow. With a vent hole design, there’s a consistent air flow, which is needed for high drain devices. 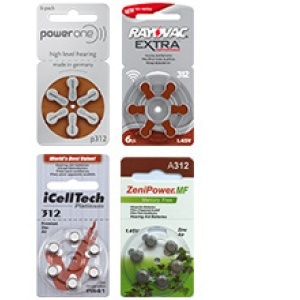 When you buy hearing aid batteries online, you need to know that they are fit for purpose, and the Rayovac range has been created especially for those with high-performance devices. Designed to be used for long periods, Rayovac have created a battery with lots of extra features. At Hearing Aid Batteries Express, we offer excellent deals on bulk buys, with special offers on the Rayovac Extra Advanced range. Make sure you don’t run out of hearing aid batteries by stocking up online, with quick delivery straight to your home. Check our site regularly, and see the different offers available on the Rayovac range. 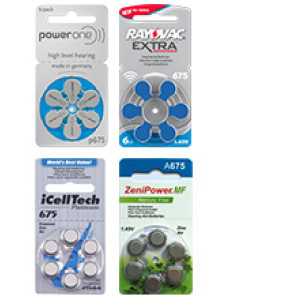 Because it can be difficult to know which battery will be best for your device, at Hearing Aid Batteries Express we offer trial packs of our most popular brands. When you need to buy hearing aid batteries, simply select the trial pack in your size, which will include Rayovac Extra Advanced, so you can try them out and compare them to other brands. Made from the highest quality nickel-clad stainless steel, the Rayovac Extra Advanced range is designed to last, with a shelf life of up to four years, so you can stock up and always have batteries to hand. When you need hearing aid accessories, you need to know they’re of the highest quality and will last, making the Rayovac range the natural choice. Buy your batteries and accessories through Hearing Aid Batteries Express, and you can be sure of an excellent service and quality produces. We offer a 30-day exchange guarantee, and fast delivery across Australia when you need it. Established since 2001, we’ve built a base of satisfied customers, and aim to make the process of buying batteries as easy as possible, so you never run out. If you’re looking for Rayovac Extra Advanced batteries, browse and order our range online, or contact us to find out more about our range.